If you're a bookworm like me, probably one of the world's purest joys is the discovery of a fabulous new author. So today, I would like to introduce you to Charles Martin. Honestly, I have no idea why I had never heard of him. He wrote for Thomas Nelson for years. Now he's crossed over to ABA publishing and hit the bestseller list. Plus his books are incredibly romantic. Think the Christian Nicholas Sparks. Oh, and in case you happen to be sight impaired, let me mention that he's a total cutie. My good friend and writing buddy, Angela Andrews, had been bugging me to check out Martin for a few months. Turns out he went to the same grad school we did, Regent University. And Angela had totally fallen in love with his writing. But with my never ending to-be-read stack, I didn't get to him until she actually broke down and bought me a book. Now that's a true friend. When Crickets Cry was published in 2007, so I'm a little late with my review. Short story is, I loved it. It's a novel of healing, hope, and romance. Martin's writing is very artistic. A sort of literary feast where you can savor each word. This book is all about the heart: from the characters who will capture your heart, to their own wounded hearts, to the actual human heart in all its splendor. And all of this ties beautifully to the spiritual heart with a deft touch that will change you without ever falling into preaching. Now's the time I'm supposed to say I enjoyed every moment of reading this book. But actually, that wouldn't be true. There were chapters that were a little slow and descriptive, even for artsy me. But don't give up on this book, because it's well-worth persevering. Then there's a moment at the end that I felt was tricky. A sort of "ha ha, you actually believed me" kind of moment. I hate jokes like that. Anyway, I was pretty upset for a few pages and ready to throw the book at the wall. For a short time I felt like the author had completely ruined all his hard work with an awful ending. Fortunately, I was wrong. Everything turned out great. I'm sure there's some spiritual lesson in there somewhere. Probably I should have seen all the clues, including several prophetic moments, and clung to my faith in spite of how circumstances appeared. LOL. And the fact that the story provoked such a strong response in me just goes to show how invested I became in it. Overall this book was tremendous. And I'm so glad to have found this new author. 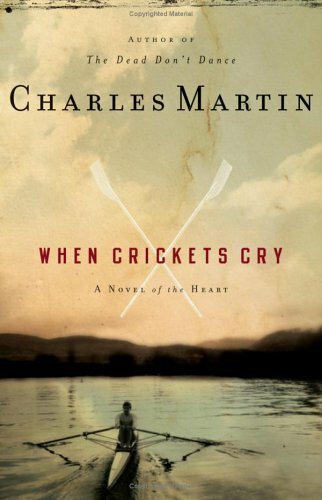 If you like books that tug at your heart, you need to check out Charles Martin. His writing really is exceptional. Have you heard of Charles Martin? Read any of his books? Do you enjoy Nicholas Sparks books or movies? By the way, my daughter bought me The Lucky One for Mother's Day. We're both going to read it then go see the movie. Dina, I've never read Nicholas Sparks. I've seen two movies (I think two) and they were way too sad for me. But his instant sucess story is amazing. As for your assessment of Charles Martin, I totally agree. ;-) I've not read his books, but your description, the cover, and the title all intrigue me, so I'll add his name to my to-read wish list. Sounds like his books include a lot of sadness, but this one ends well. My friend said one has a sad ending, but it's not a surprise. You know it's coming. I think that's why this one threw me. The whole book was crafted toward a happy redemptive ending, so when it had that tricky moment I was mad. As opposed to The Lucky One which I just finished. That was written in a way that a happy or sad ending could have worked and concluded a satisfying story. Sparks is a little tricky, more towards secretive, for a few pages about how it all turns out. I won't spoil it by telling which ending he went with. No, I've never heard of Charles Martin, but I'll be on the lookout for him. I love books that get me emotionally charged. Except for Nicholas Sparks. I liked the first few, but now find they seem to follow the same pattern. Different, but the same. I'll watch his movies if they're on TV, but I'm not paying to watch them in the theatres and I won't buy his books. I saw one interview of his and now feel he's laughing at women. I won't support him financially or otherwise. It's nice to know Charles Martin is a Christian hitting the NYT best seller's list. Yay, Charles! 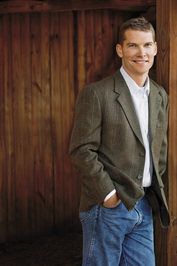 Nicholas Sparks is a business whiz. I think I've heard of Charles Martin but that's about it. The name rings a bell. It makes me wonder how I miss so much if he's been published this long and is this good. I guess I'm too deep into historical romances and a few women's fictions authors. Thanks for bringing him to our attention, Dina. I'll be watching for an opportunity to read his work. I guess he would be considered "General Fiction." I've heard his Thomas Nelson books are all a little on the literary side, but his Random House books are more commercial. I don't think he really runs in the Christian writers circles from what I can see on his website, so that's probably why none of us had heard of him.